Citizen scientists on the Planet Four project have tagged over 300 images (http://talk.planetfour.org/#/search?tags[spider]=true) showing features on the Martian surface known as “spiders”. 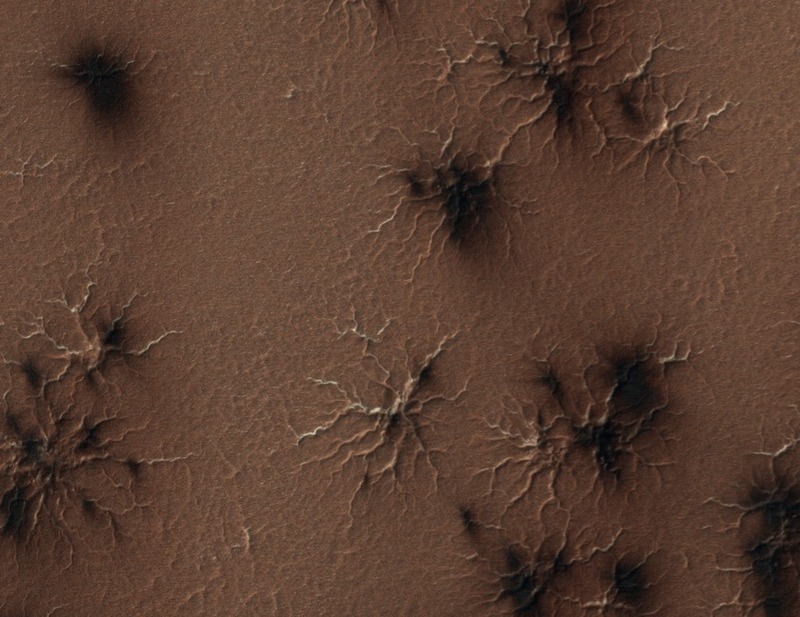 They are found in the southern polar region and some scientists suggest they are caused by outflows of carbon dioxide (http://themis.asu.edu/news/gas-jets-spawn-dark-spiders-and-spots-mars-icecap). Next Next post: The birds and the bees… and the trees.